If you have ever judged a book by its cover, you might have possibly picked up a book with a jacket that was designed by graphic designer and author Chip Kidd. 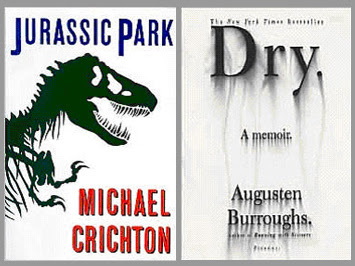 He has designed such notable book jackets as Jurassic Park by Michael Crichton, Dry by Augusten Burroughs, and Geek Love by Katherine Dunn. 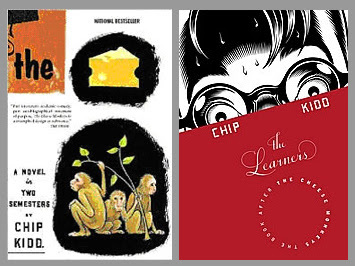 Perhaps the most interesting is the layout of his is his own book, The Cheese Monkeys, which is a hilarious take on a young man’s experience as a graphic design student in the 1950’s. I read this book while I was a design student and it has become one of my favorite fiction books of all time. TODAY, Tuesday, February 19, the long awaited sequel will be released. The Learners chronicles a recent grad’s entry level status as an art assistant. Chip Kidd will be appearing at Borders in Boston on Thursday, February 21. I personally have been anticipating this follow up book and am looking forward to meeting the interesting character that is Chip Kidd! For more information, you can visit Kidd’s website.